Epidemiologic data, primarily from case-control studies, suggest that different types of pesticides are associated with specific types of cancer among children and adults. “Pesticide” is an umbrella term that includes any agent or technique used to control pests; the term includes antimicrobials, fungicides, herbicides, insecticides, insect growth regulators, and rodenticides, among others.1 There are numerous pesticides registered in the United States, though the 5 most often used in agriculture are the herbicides glyphosate, atrazine, metolachlor-S, and 2,4-Dichlorophenoxyacetic (2,4-D) acid, and the fumigant dichloropropene.2 The most commonly used insecticides in agriculture are the organophosphates chlorpyrifos and acephate, while the most common for home and garden–use are carbaryl, acephate, and pyrethroids. 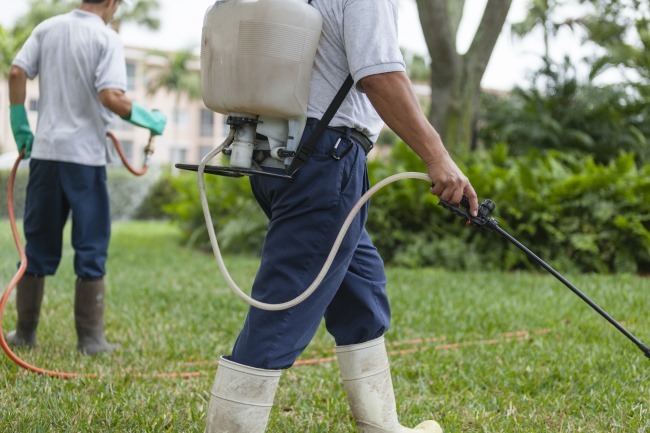 Concerns about the negative health effects of pesticide exposure are fostering epidemiologic studies to investigate whether there is a correlation between occupational and residential use and cancer. Multiple case-control and cohort studies have evaluated home pesticide exposure and the incidence of cancer, including cancer rates overall and specific tumor types. Many studies included both maternal exposure during pregnancy and childhood exposures. In a case-control study that included 280 cases and 288 controls matched for gender, age, hospital, and ethnic origin, childhood acute leukemia (AL) was significantly associated with maternal insecticide exposure (odds ratio [OR], 1.8; 95% CI, 1.2-2.8) and exposure during childhood (OR, 1.7; 95% CI, 1.1-2.4).3 The association was significant with garden insecticide use (OR, 2.4; 95% CI, 1.3-4.3) and fungicide use (OR, 2.5; 95% CI, 1.0-6.2), as well as insecticidal shampoo treatment of lice (OR, 1.9; 95% CI, 1.2-3.3). A larger, registry-based case-control study that included 1060 cases and 1681 controls reported similar results.4 In this study, maternal exposure to pesticides during pregnancy was significantly associated with AL (OR, 2.2; 95% CI, 1.8-2.6), non-Hodgkin lymphoma (NHL; OR, 1.9; 95% CI, 1.3-2.6), and mixed-cell Hodgkin lymphoma (OR, 3.8; 95% CI, 1.3-10.9), but not nodular sclerosis HL. Paternal exposure since conception was also significantly associated with AL (OR, 1.5; 95% CI, 1.2-1.8) and NHL (OR, 1.7; 95% CI, 1.2-2.6), but not HL. Pooled data from 9 case-control studies are also consistent with the previous finding, with pesticide exposure during pregnancy significantly associated with childhood acute lymphocytic leukemia (OR, 1.43; 95% CI, 1.32-1.54).5 The association remained when stratified by insecticide or fungicide used on plants, herbicide, rodenticide, and personal insect repellant use.